Sienna Miller looks so pretty in this picture. She isn't perfect, but she still looks great without any make up on. Admittedly, Fearne Cotton looks a bit tired, but she still isn't looking too bad. 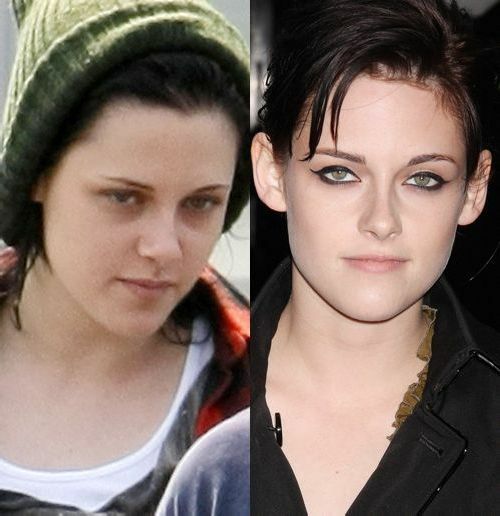 but I actually think that Kristen Stewart looks a lot better without makeup on. 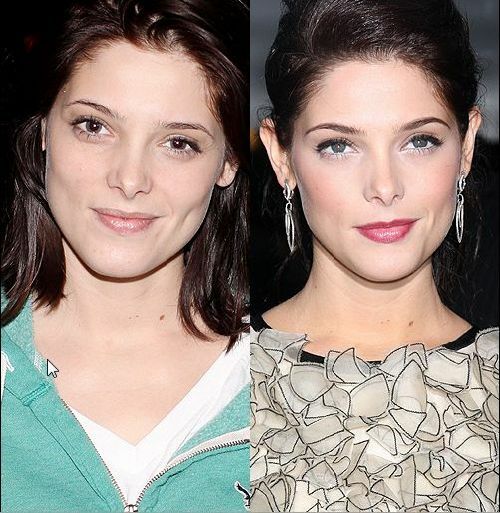 Mischa Barton also looks great with or without make up on. As you can see, natural beauty really does exist, but that doesn't mean that a person will agree with you. I bet, if you showed each of these women a makeup-less image of themselves they'd want to rip it up, just like the rest of us. It's just a shame, that the media chooses to use these types of images to highlight how rubbish celebrities look without makeup, when they don't at all. I wish the media would start highlighting how beautiful women can look naturally. Cameron Diaz has to be one of the most targeted celebs by the media. Cameron looks great without make up. They all look good without makeup. I think cameron diaz looks good without it as well if you manage to find a pic of her :). Fearne doesn't wear makeup much when she is in the radio studio or out shopping. I think thats really brave considering she knows the mags will show pics saying she looks awful. She looks great without it. If I was a celeb I would't be able to help myself. If someone wrote an article saying I was getting fat when I was an 8 or something like they do to cheryl cole. I would HAVE to go down the office, find the writer and totally insult every single thing about them. I know thats awful but I can guarantee the people calling cheryl cole fat are actually bigger than she is. I also find it shocking that the media say these women look awful without makeup on when they probably look a lot better than they do with makeup on ;). What really bugs me, is when the media picks out images of them from years ago, and then slag off their bad hair do. In the nineties, that hair do was the height of fashion, so everyone looked like that! Annoying! I hardly ever wear makeup! I go to work each day without it on and never think twice about it - unless there's important people around the office or im not feeling personally at my best! It's cleared my skin up too, no way near as bad with spots anymore.